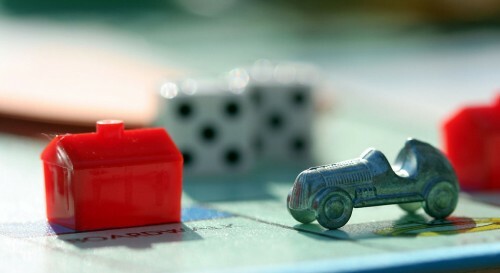 This jigsaw puzzle features a close-up of some of the game pieces of a traditional Monopoly game. Credit: Special thanks to John Morgan for making the photograph used for this jigsaw puzzle available through the Creative Commons Attribution license. Visit John Morgan's Flickr photostream. See all jigsaw puzzles based on John Morgan's photographs.